ELI Illustration with Blackbird Digital. April 2018. In the spring of 2018, I collaborated with designers from Blackbird Digital to create a series of illustrations they could use as part of a campaign for one of their clients. They needed the illustrations to be created with elements that could be removed/changed to depict a progression, improving over time. Part 1/3 of a series of illustrations for Blackbird Digital. Adobe Illustrator. Part 2/3 of a series of illustrations for Blackbird Digital. Adobe Illustrator. Part 3/3 of a series of illustrations for Blackbird Digital. Adobe Illustrator. 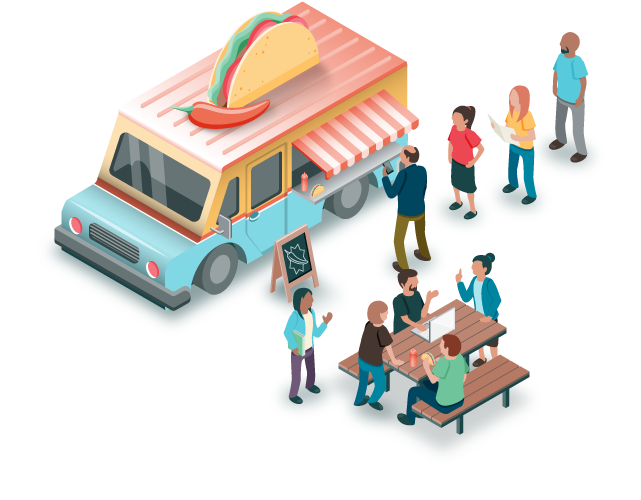 Close up on a part of an illustration, showing a food truck, for Blackbird Digital. Adobe Illustrator. Close up on a part of an illustration, showing a construction site,, for Blackbird Digital. Adobe Illustrator. 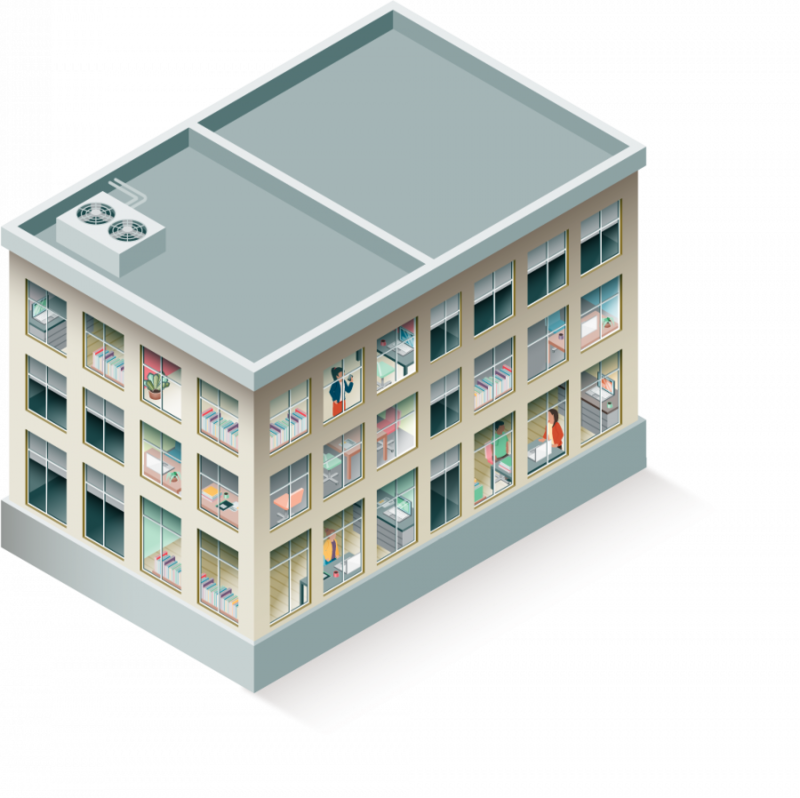 Close up on a part of an illustration, showing activity inside the building, for Blackbird Digital. Adobe Illustrator.